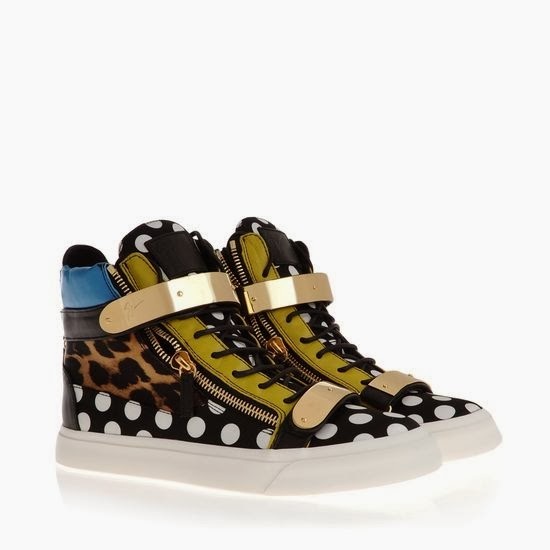 High-top sneaker in leopard and polka-dot printed silk, with multi-coloured tassel, side zips and gold double strap. Green velvet and black calfhide high-top sneaker that has an oversized gold plate over the upper part and the strap. 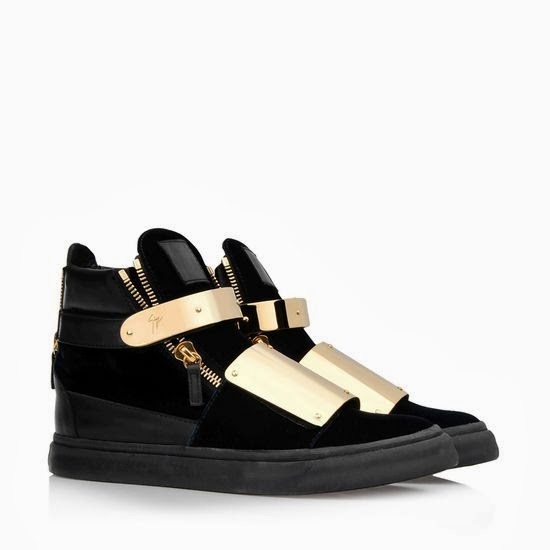 Do you own a pair of Giuseppe Zanotti sneakers?